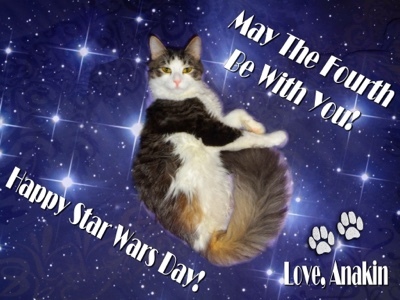 Anakin The Two Legged Cat: Happy Star Wars Day!! 😻❤️ #tbt Still just as handsome!! Happy Star Wars Day!! May The Fourth Be With You! Ani, Happy Star Wars Day to you, sweet baby!